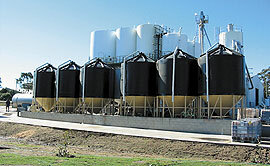 Clark’s silos for bulk liquid feeds or molasses is manufactured from quality food-grade polyethylene and moulded in one piece for strength and durability. The inside surface of the silo is smooth to ensure no product sticks to the walls or base and to facilitate easy cleaning. 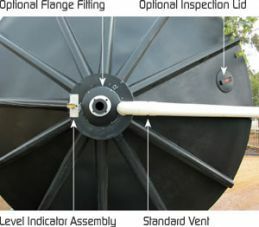 The sturdy frame is galvanised to inhibit corrosion. A combination of individual silos gives you the flexibility to store one product in bulk or a range of products individually.